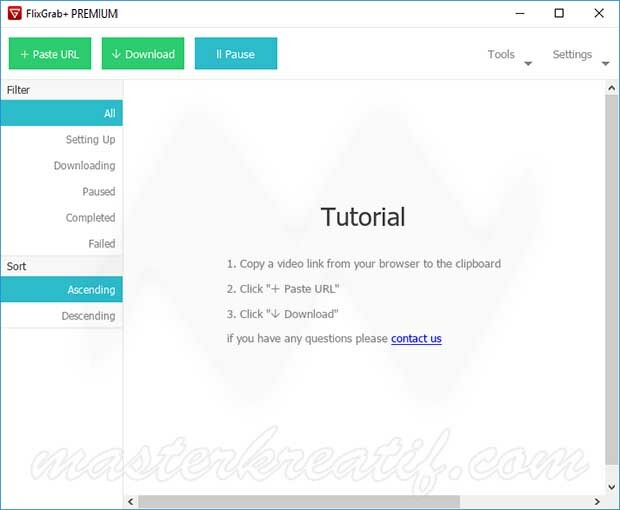 FlixGrab+ is a simple, easy to use and powerful application that enables you to download and watch any Netflix video with soft subs and without any limitations. FlixGrab allows for downloading entire and multiple NetFlix movies, serials, TV shows, documentaries and music at the same time (simultaneously). FlixGrab+ Premium has totally easy to use and user-friendly interface, allows you to download the original quality video from Standard Definition, High Definition, Full High Definition, up to Ultra High Definition. new version… crack isn’t working.. Version : FlixGrab+ 1.5.5.290 PREMiUM Cracked ! is there a final solution for this since its the same program every week ? Is there a permanent way to stop the program communicating with the freegrabapp company servers ? Is there a couples of lines we could add in our “hosts” file to prevent future automatics update ? The 1.5.6.295 version is not working again..
still thanks for all your time and hard work to serve us what we cant get without this site!